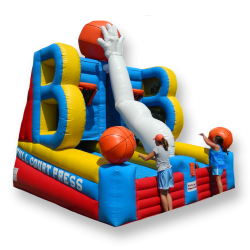 You'll have a blast with this full size 2 player hoop shoot game. Race your opponent to be the first to make all the shots - your made shots roll into your opponents side for added excitement. Feel the pressure!